Earlier today, we brought to you a list of upcoming sedans in India in 2015 under 8 lakhs. Now, in this list, we bring to you details on upcoming SUV in India 2015, along with all vital information such as their expected launch date, price, et al. It may be noted that SUV segment in India has been posting almost stellar growth figures and hence, has become one of the most lucrative markets for the car manufacturers here. No surprise then that this list here comprises of models across several price segments. 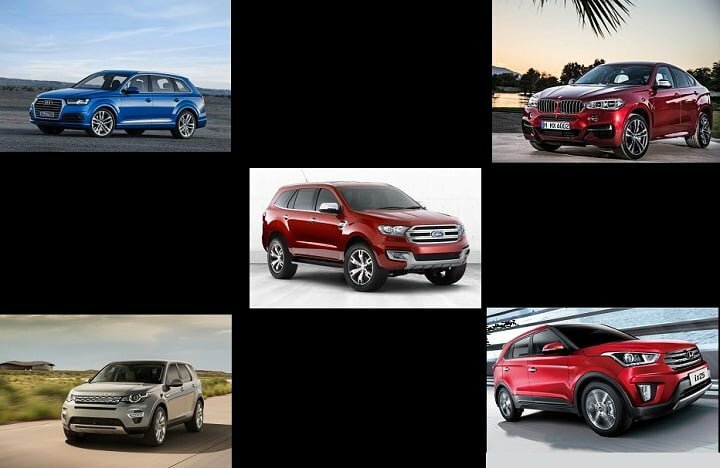 Scroll down to get to know of all the upcoming SUVs in India 2015 for all the details. The next generation of the world’s first coupe crossover is headed our way and the next generation BMW X6 could launch in India by August next year! 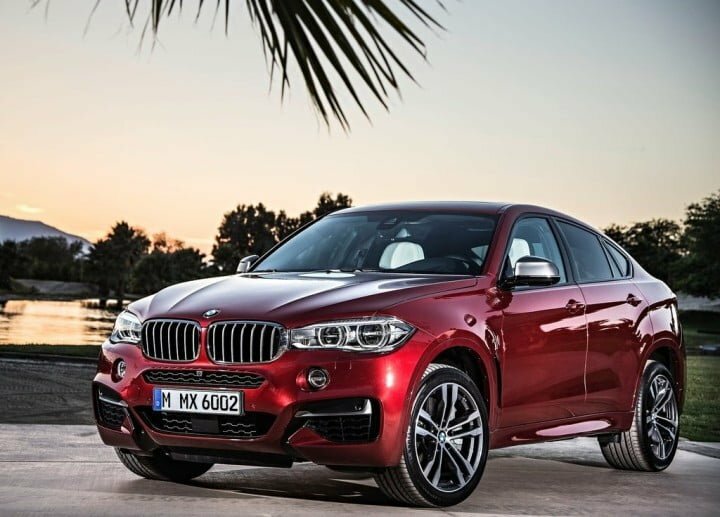 The second generation BMW X6 is based on the latest X5 and much like the latest iteration of its donor model, which is already on sale in India, the second generation X6 will boast of a more cossetting interior and much more modern styling. Powering the new gen X6 are the same engines that powered the last generation model, which means that the car will get a 3.0-litre diesel motor as the base diesel engine option and probably a more powerful 442bhp 4.4-litre turbo V8 for the flagship variant. The Ford Endeavour needs no introduction! Basically a rebadged Everest, the Endeavour successfully spearheaded Ford India’s charge in the fast developing premium SUV market. 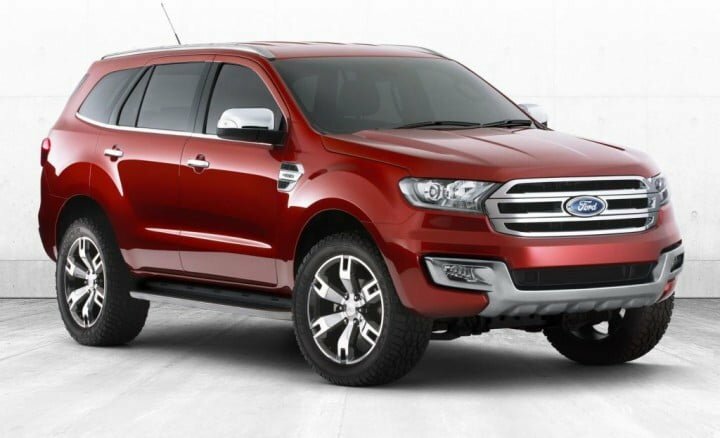 However, the advent of more modern rivals, namely the Toyota Fortuner and the Mitsubishi Challenger, ensued a steep decline in the popularity of this Ford SUV. All this is about to change, as Ford India is preparing itself to launch the all-new Endeavour in our car market. For the Indian market, the new Endeavour will come with 2.2 and 3.0-litre diesel engines that are likely to get both manual and automatic transmissions. The car is also expected to get a 4WD variant. 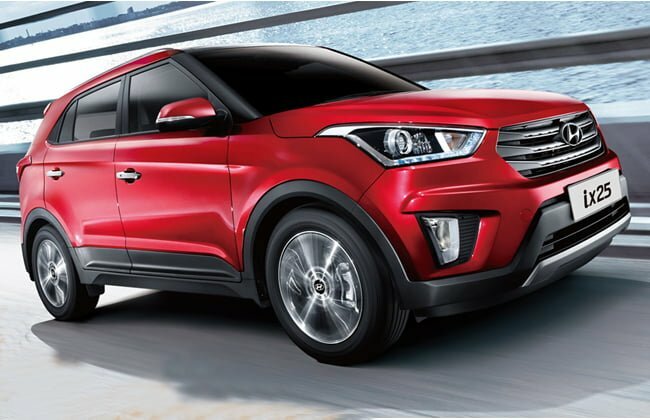 The compact SUV segment is easily among the most lucrative of the sections of Indian auto market and Hyundai has been preparing its compact SUV contender, the ix25, to cash in on high demand for compact SUVs in India. Hyundai ix25 has already been showcased in its concept avatar and is likely to be launched here in the second half of next year. Mechanically, the car is expected to be similar to the Verna and would hence get a set of 1.4-litres and 1.6-litres diesel and petrol engines that would be available with both five-speed and six-speed manuals and an optional five-speed automatic gearbox. 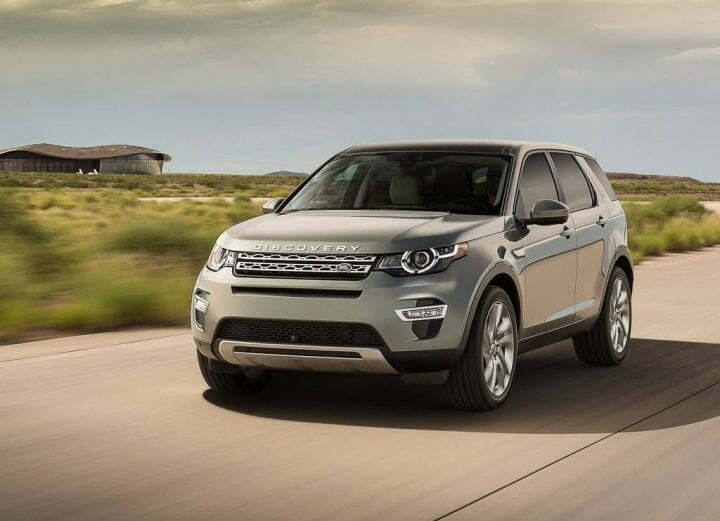 The new Land Rover Discovery Sport is the replacement for the Land Rover Freelander 2 and boasts of better off-road manners and a more spacious cabin. The new model shares its underpinning with the highly successful Evoque, which in turn is based on a modified Freelander’s platform! The upcoming model will be a genuine seven-seater and will be powered by JLR’s new family of very efficient four-cylinder petrol and diesel motors. Maruti has been busy readying its EcoSport adversary and the new model has been codenamed as the YBA. 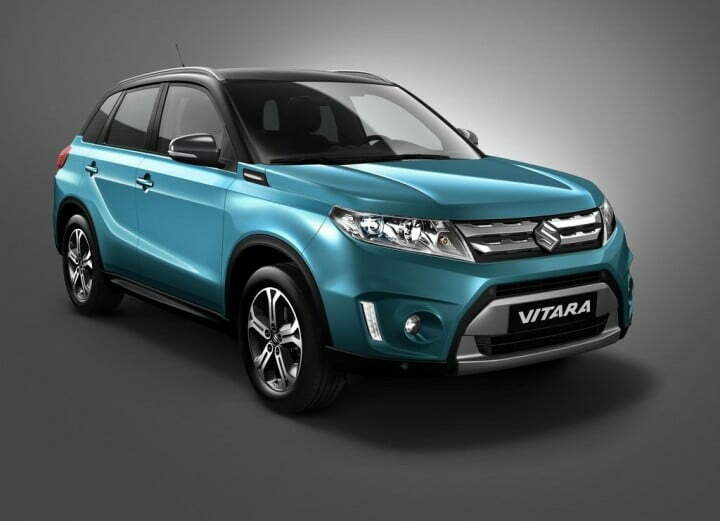 The upcoming compact SUV would measure less than four meteres in length and would feature muscular exteriors. The car will borrow plenty of design cues from the Suzuki iV-4 concept SUV which was showcased earlier. The Maruti YBA compact crossover should be considerably feature-laden and the new model could be revealed by the end of next year. 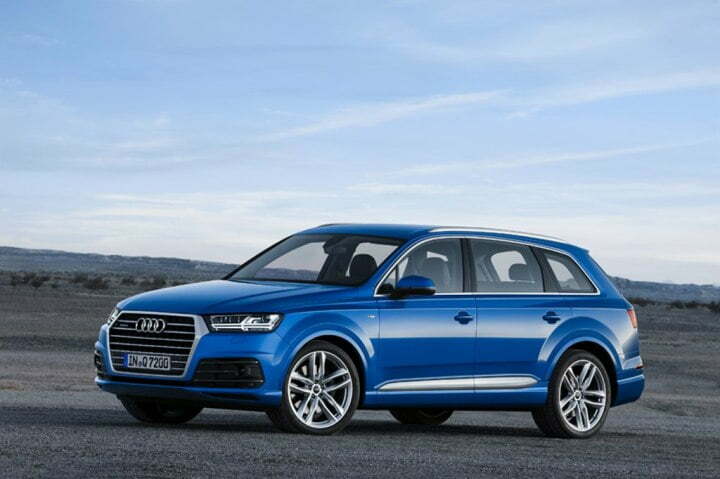 So on which of these upcoming SUV in India 2015 are you planning to put your money on? Do share your views by penning them down in the comments section below.